We all know the taste of cakes and candies is really important – and their presentation is, too. 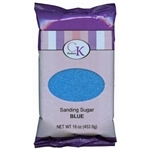 If you are wondering where to buy hard candy flavorings and cake decorations, you have come to the right place. With the flavorings and colorings available here, you’ll be able to give your sweets that beautiful, rich color and added flavor you’ve envisioned without sacrificing quality. Don’t risk ruining your fresh batch of candies or cupcakes with subpar baking supplies – order one of these professional-quality options to enhance your treats every time. 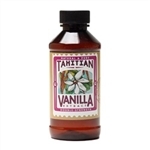 Whether you’re looking for where to buy Lorann flavorings like amaretto and almond or AmeriColor food coloring – powders, oils and more – you’ll find just what you want with us here at Sweet Treat Supply. We’ve also got some all-natural food coloring for baking up a storm with the purest ingredients. And our hard-candy flavoring oils are available to give your next batch of hard candies that boosted flavor that everyone will love. Order your cake flavoring extracts and candy colorings here with us – and get them in no time with our fast shipping. What’s more, you’ll get free shipping on all purchases over $100. There’s no reason to wait – order now!